Tiffany Pittman is an award-winning TV producer, on-air talent, writer and public speaker. From the nation’s leading experts and corporations to the hottest celebrities, Tiffany has interviewed and produced for some of the most exciting names in the country. Tiffany is currently a producer/director for the Lifetime Television show The Balancing Act. It’s a daily lifestyle and entertainment talk show that features hot topics, headlines and brand awareness through everyday solutions for everything from finances to fashion. Tiffany helped launch and develop a similar talk show called The Morning Blend on WFTX FOX 4 in the Fort Myers/Naples area. She was the producer, fill-in co-host and known as Mrs. Fabuless for her time and money-saving tips in the show’s Fabuless segment. Some of Tiffany’s most fun and interesting work has been producing for I Want a Famous Face, a controversial MTV News and Documentaries show that documented the journeys of young adults getting plastic surgery. She also story edited the life and experiences of the “Hulkster” for Hogan Knows Best, which debuted in 2005 as the highest-rated show in VH1 history. 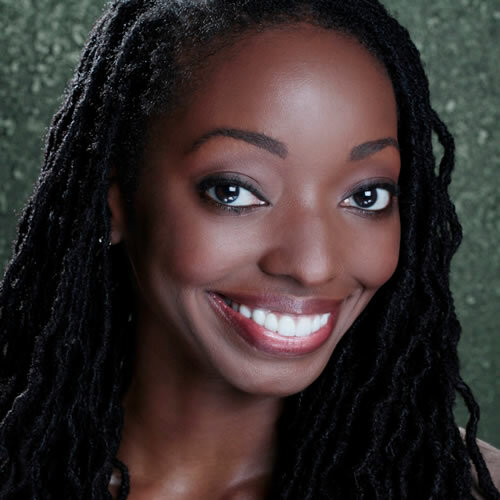 Her prior producing credits include WFTV Channel 9 Eyewitness News, Orange TV and Vision TV in Orlando, where Tiffany not only produced but reported and hosted the Telly award–winning On With the Show that highlighted youth-oriented theater performances and events. Plus, she held a public affairs position at WSB Channel 2 Action News in Atlanta. In addition to Tiffany’s producing and on-air positions, she is also a public speaker and has appeared as an actress and model for national publications and companies such as Disney, Universal Studios and AOL/Time Warner. She’s even been a featured guest on The Oprah Winfrey Show in the Bill O’Reilly Town Hall Meeting episode. Tiffany began her broadcast journalism career at Florida A&M University, where she received a B.S. degree in broadcast journalism with a concentration in apparel studies at Florida State University in 2001. Her passion for TV and entertainment started in early childhood when she produced, acted and directed scenes and plays in a drama troupe and hosted the music video segment for the morning announcements at Robinswood Middle School in Orlando. These experiences led to commercials and appearances on Nickelodeon and The Family Channel. Tiffany loves to learn about spiritualism, travel, do just about anything involving physical fitness and hit the clearance racks at a store nearest you.